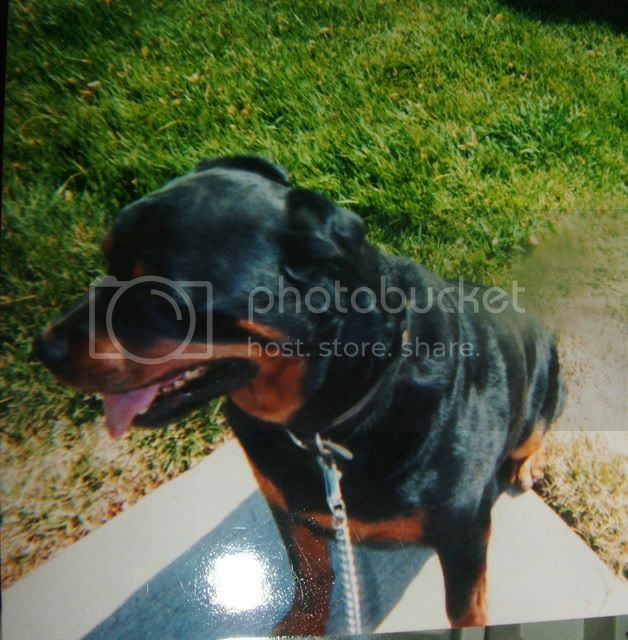 Shortly after Shushu passed, we acquired this gorgeous 5 year-old Rottie boy, Rex. 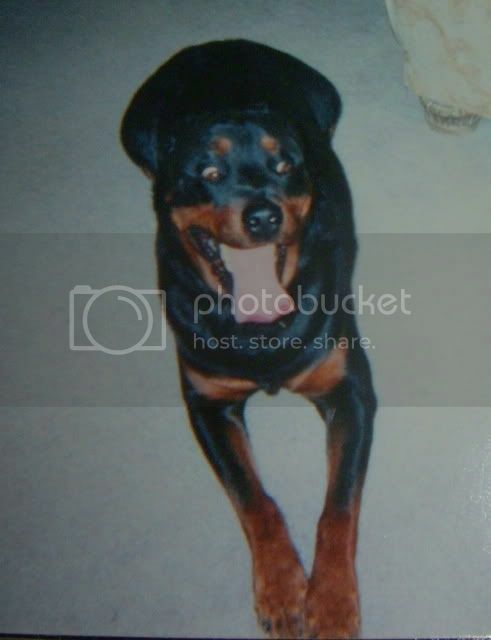 He had gone through abuse at the hands of his former owner ALL of his life and he still adored everyone... he also scared off a burglar, when I was 12 and home alone with my sister. He was an amazing dog. These pictures don't even begin to show off his stunningness, but they're all I can find right now! 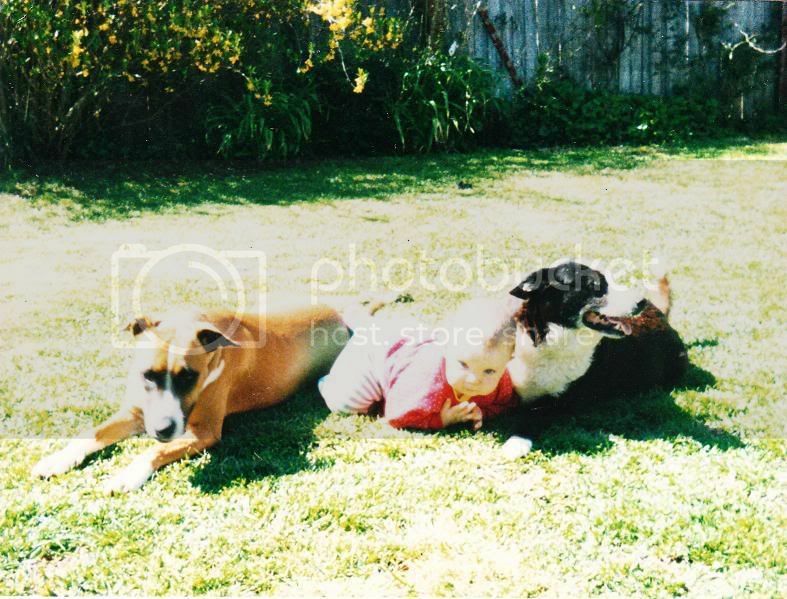 I'm going to have to get my parents to scan some pictures, they've got all of the ones of childhood pets. 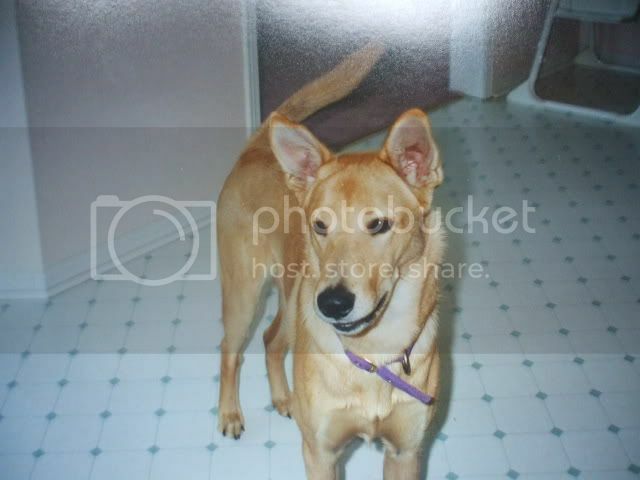 I think I might have one or two around here of Meisha, the lab/dobe mix we adopted from the Humane Society when I was 10. She was cool, very timid and had attatched herself to my mom, though I eventually ended up being second. I taught her a bunch of stuff and liked seeing her come out of her shell-she had been abused and abandoned two weeks before having a litter of pups, so she had some life-long fear issues. 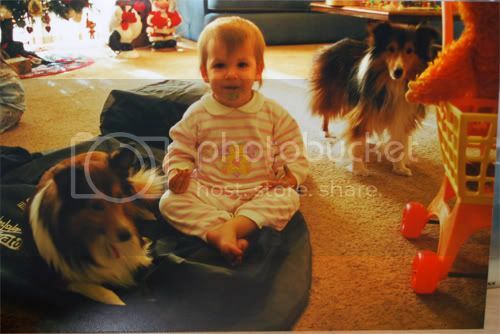 She was the sweetest, most patient dog though. Learned how to open our backpacks to get at the snacks we'd leave in them. My hero, my guardian, my secret keeper, my pillow, my foot warmer, my vegetable eater, my best friend, and forever in my memory. 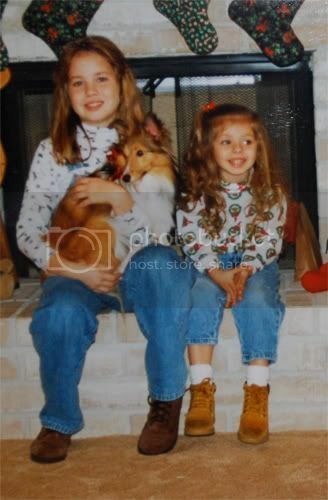 I suppose Nikki could be called a childhood pet, though she only assed this year. I got her when I was nine. I miss her sooo much still. And Trey, who we got when I was ten. 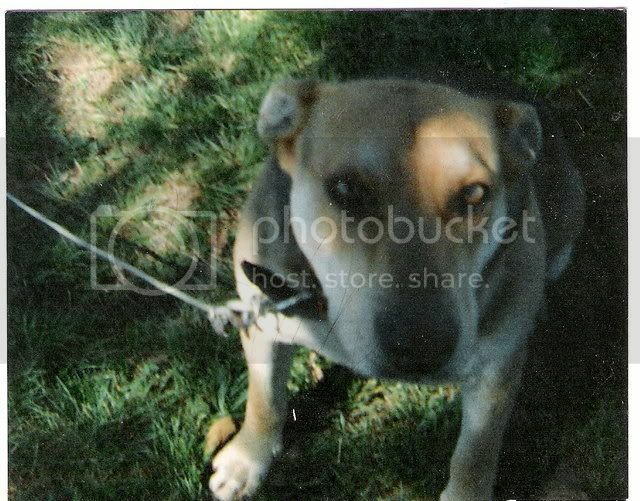 Mac is only my second dog Daisy was my first dog, i got her when i was five, i miss her so much. Thanks for sharing the photos. 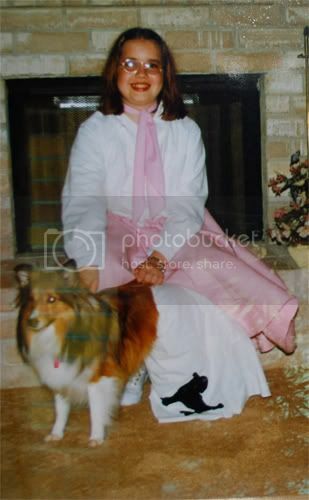 Your dog and cat look soooooo cute dressed up. I love seeing and hearing about everyone's childhood pets.....I only hope my children will have the same love of the memories of their childhood pets! Too bad I can't find pics. of the many guinea pigs we had when I was a child! 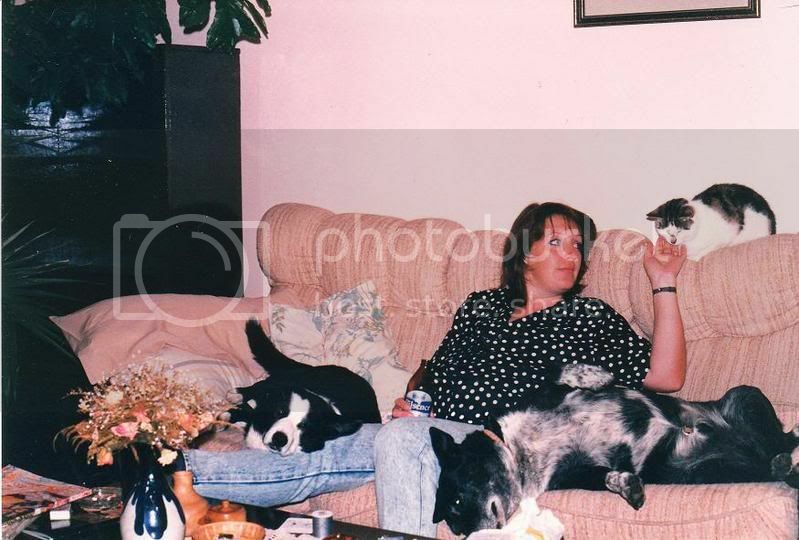 Heres Mum before we were born, not sure who the cat is, but with Jack and Tussey. 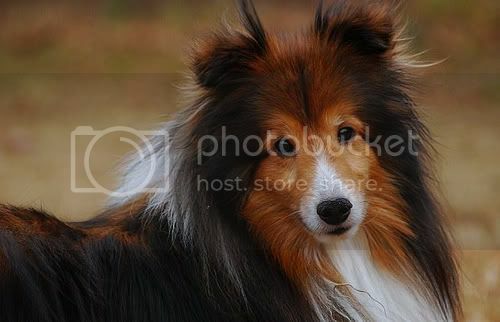 I still wish I could've got my hands on Tussey now, she sounded like an awesome dog. 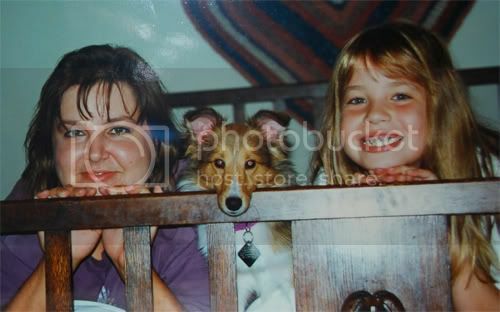 My sister with Martha and Tussey. 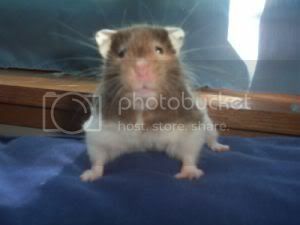 first pet was a syrian hamster chipper I dont think i hardly ever left my room we spent so many hours together. 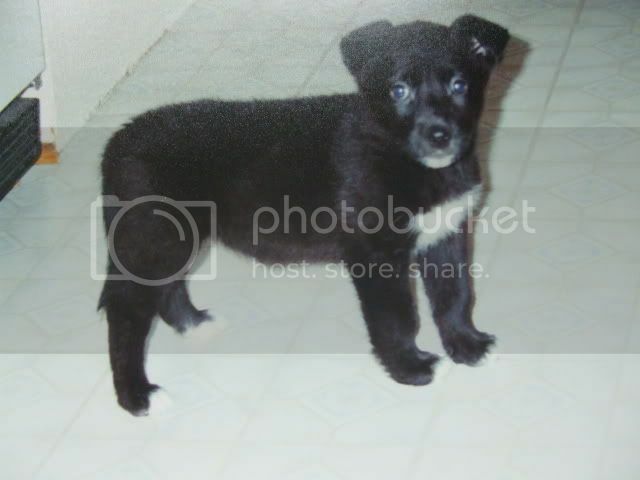 First dog was skippy a black lab mix. 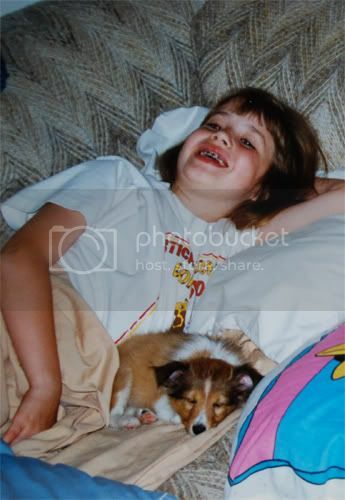 Here are pictures of my very first dog! His name was Pongo and he was a Shih Tzu. We had him from 1993 until 1996. He became very ill with a seizure disorder which then caused agression and he went to live with a lady who had delt with this before and was able to give him the care he needed (medically) and where he wouldn't be around small children. He never showed any agression toward me but toward my younger sister he did. I think we could have done more for him but my parents felt he needed to not be around children. 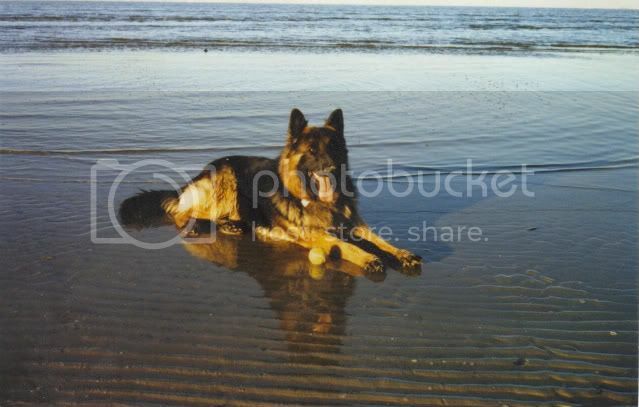 I still miss him a lot, he was a good dog atleast to me he was. Her owner was an elderly woman (my mom ran an assisted living) and the lady left Princess to my mom when she died. 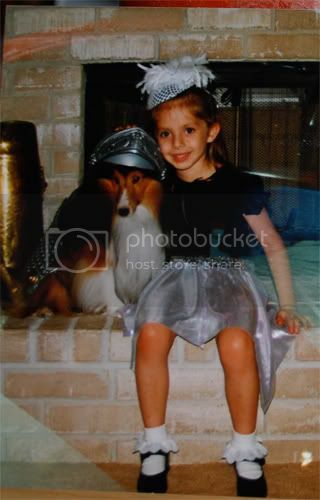 Well Princess ended up being my dog. My parents had her a bed in their room but every night as soon as Princess knew they were asleep she would come and scratch at my door and I would let her in and she would sleep with me. My parents then realized she wanted to be with me so they let her. 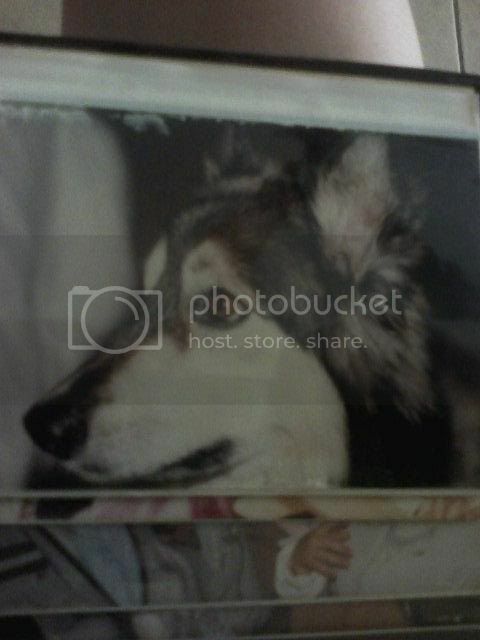 I got Princess the summer before I started High School and she passed away the day after my last day of Senior year. (The day before graduation). She was 10 years old when she came to live with us. She really got me through those hard high school years. She was a very loyal friend. The day she died was a very hard day. She had been getting ill and the night before she got really sick while I was at work. The next morning she couldn't even walk down the stairs to go outside and she wasn't able to use the bathroom. She was in Kidney Failure and I just sat down with her and cried and she looked up at me and it seemed like she just said in her eyes: "Amber its time, Amber its okay." And then she looked at me again with a questioning look. "Amber is it okay if I go? Will you be okay?" That kind of look. And I said "Princess I'll be okay if you need to go I'll be okay" And I called my dad and I told him it was time. A few hours later we took her to the vet and I sat with her until she was gone. 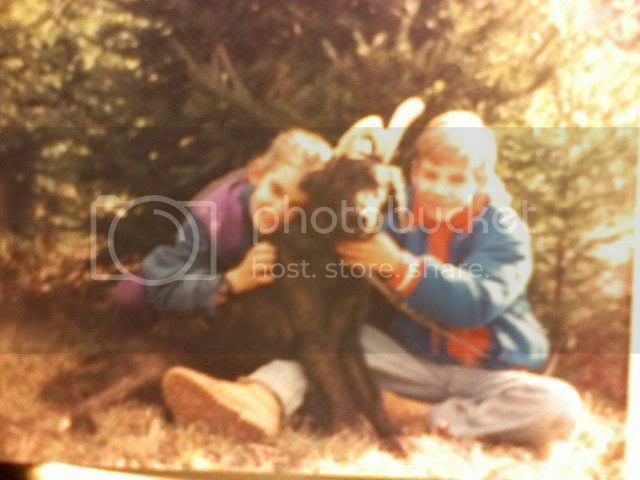 Then we buried her in the back yard under the old Pine tree. We spent a lot of time out by that tree so it was the best place for her to be laid to rest. I was 19 years old when I lost my best friend. It was the hardest day of my life but Princess lived 2 lifetimes in one. She had a full life with her lady and then another one with me. I dont have pictures... possibly somewhere at home , but not with me, so descriptions it is! 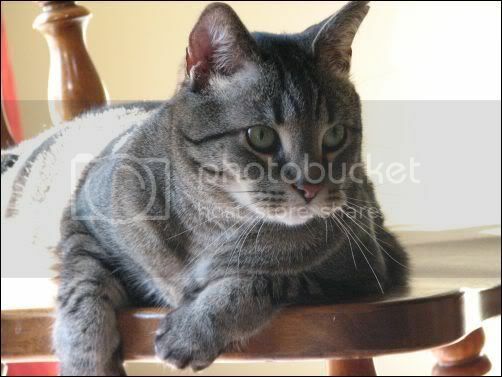 "My" very first pet was a cat named Shadow... it was more of my sisters cat, and we got rid of it a few years after I was born because it destroyed all the furniture in the house. After that we got 3 goldfish, one for each child. We were such imaginative children, that we named the fish after ourselves, they were Tracey, Jessica, and Alex. Around the same time, we got 2 budgies (one for me one for my sister) and a canary (my brothers). The birds went for the longest time without having a name, it wasn't until about 3 years before the last surviving bird died that we named it Tweets. While we had the one bird left, we had a bunny named Pepper, who was black then turned gray from old age. 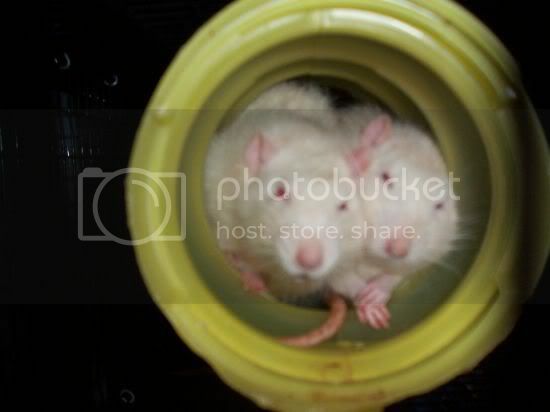 We then went through a bunch of hamsters, at one point having 13 hamsters at the same time (we were told she was a male when we bought her... then she had 12 babies a week later), the hamsters names that I can remember were nightcrawler, rogue, cloud, striker, snowflake, snowball. We ended up giving away all the babies except for 2 that we could not get rid of, and 1 that the other hamsters killed. At the same time as some of the hamsters, I went through about 3 or 4 beta fish. 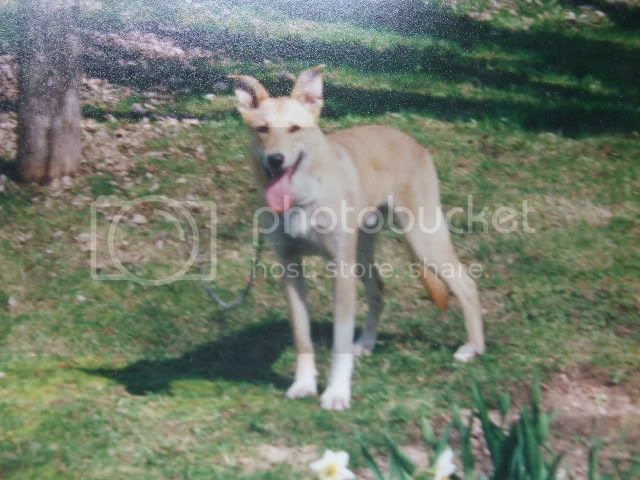 We got our first (and only) dog, Rosey, back in 1998 after a guy had found her on the queensway (she was about 8 weeks) and gave her to my aunt, when she promised that although she couldn't keep her, she would find her a good home. 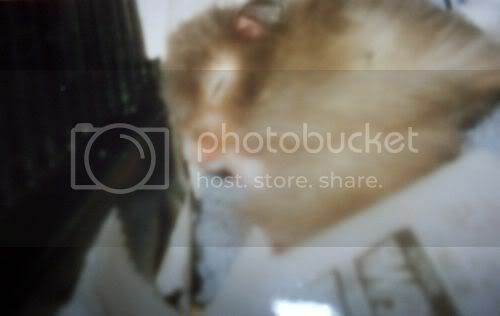 Finally, back in 2005, I ended up getting my ferret Rascal, when his previous owner could not keep him. Tucker is a childhood dog I suppose. I got him when I was 11 (I think?). 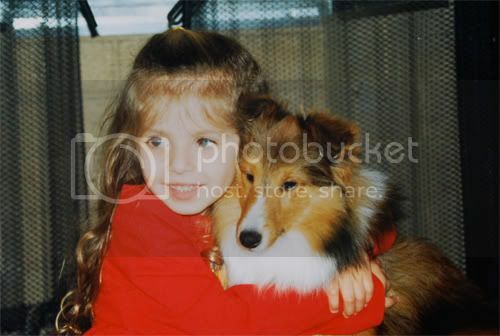 Molly was my childhood pet. We got her when I was 6. 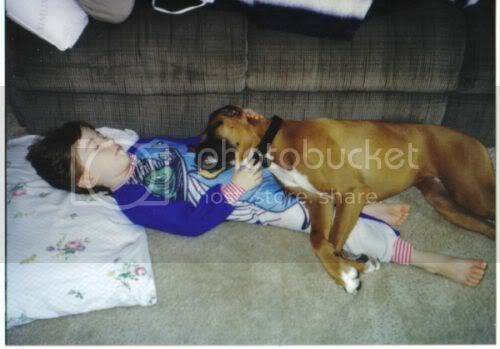 God I miss that dog. Otherwise I've never really had that many pets. I got my first hamster when I was 10 but due to a computer crash I don't have any pics of him. This is Jessie. He was around before I was born. He got out one day and was hit by a car. 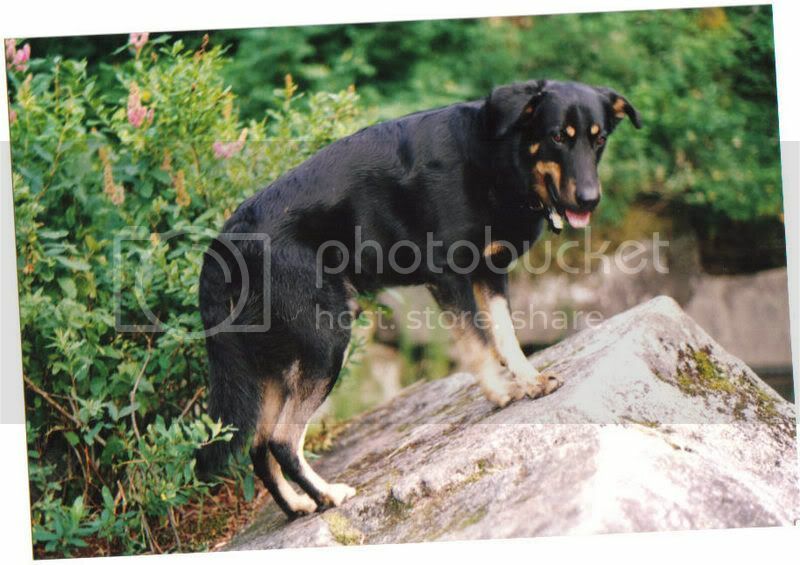 German Shepherd mix? 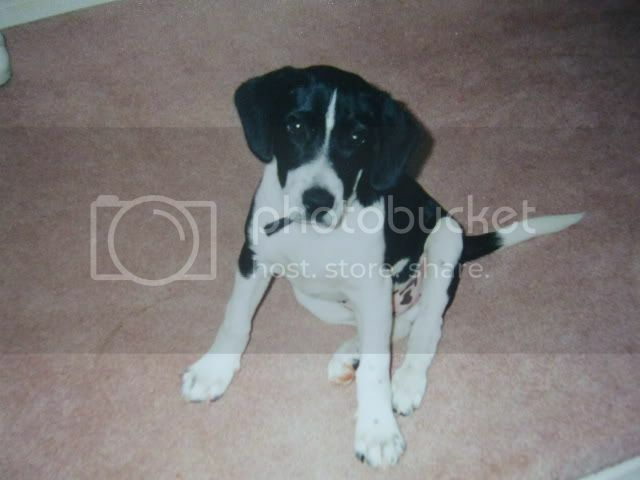 This is Mickey as a puppy. He was around while I was little but I barely remember him. He also got hit by a car. He was supposedly an awesome dog. My parents guessed his breed at labXdane cross as he was HUGE. This is Tyson. My parents saw an ad in the paper and when they checked him out my Mom fell in love as he looked just like Jessie. Unfortunately he had separation anxiety that my parents couldn't deal with three young kids and work. So they gave him up to a nice lady who had dealt with separation anxiety problems before. This is MickeyII. He grew up to be rather child aggressive along with having something against my Mom. He was given up to the SPCA. I think I was five or six at the time, if that. 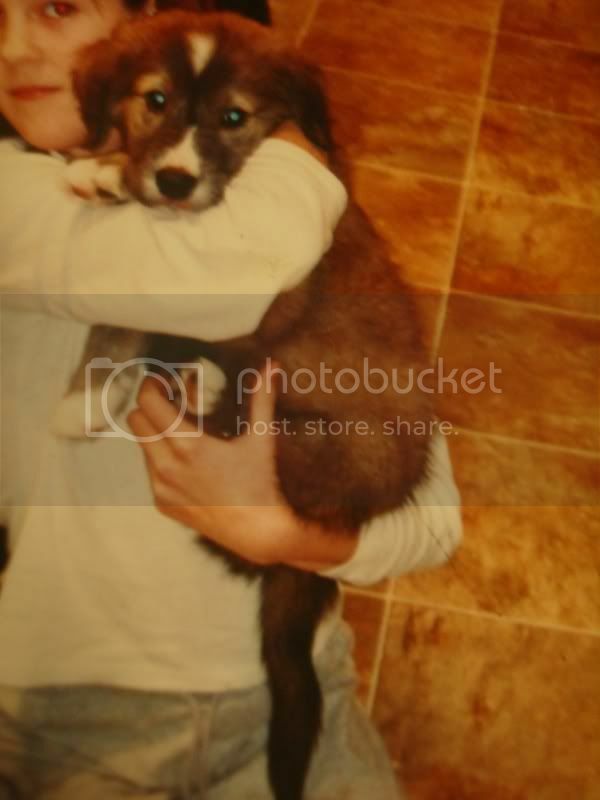 This is Blue, we got him when I was eight or nine. My heart dog, my best friend, the dog that taught what having a dog was all about. Great memories here folks ..... wish I could post mine ! This is Napa. My parents got her in 1983 so she was 3 when I was born. 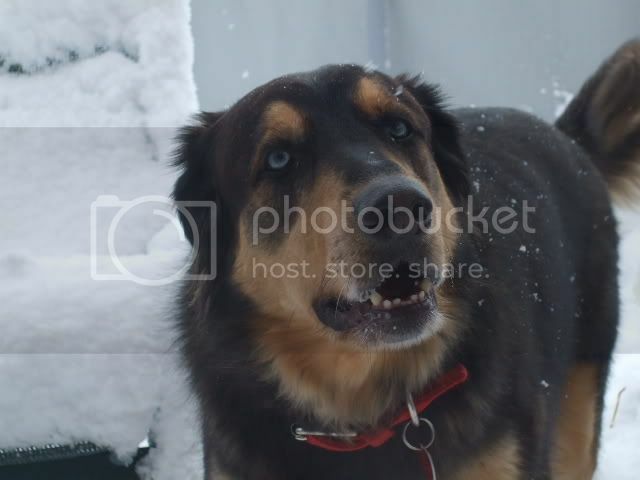 One of her parents was pure, and the other was half and half, but her mixes were german shepherd, malamute, husky. 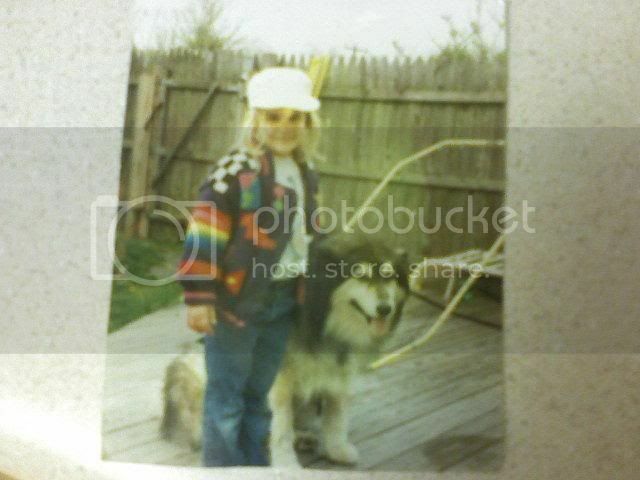 Im pretty sure mom was pure malamute, and dad was the mix. She died in 1991, so she was pretty young, but she was big, and died peacefully in her sleep. I learned how to stand by grabbing the fur around her neck and pulling myself up, and shed lick my face when I was able to stand. When my parents had my brother is 1985, she slept outside his door, and everyone had to check in with her before shed let them in. When I was born, and in my room next door to my brothers, she paced for a half hour, then settled in between the doors, still making everyone check in with her. As toddlers, we could crawl up to her while she was eating and stick our hands in the bowl. She really was the best behaved dog we could have asked for. I only had a goldfish. 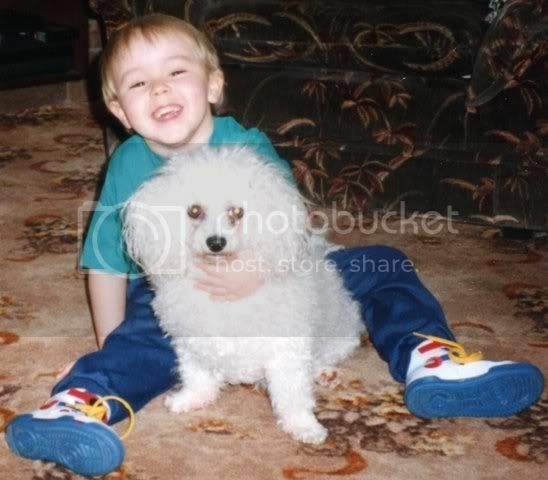 Me with Pepe (Bichon Frise), she was born in October 87' then I was born 2 months later so we really grew up together. I was sick a lot as a child and Pepe would always be lying in bed or on the sofa next to me. She had such a loveable and cheeky personality, always mischievous. She had to be put to sleep aged 14 after developing heart and kidney failure and pleural effusion. We had her cremated and her box/urn is in our living room, we'll never forget her.